The new Breeze-Lite vinyl window frame brings a sleeker, more refined look to operable acrylic block and decorative glass windows. 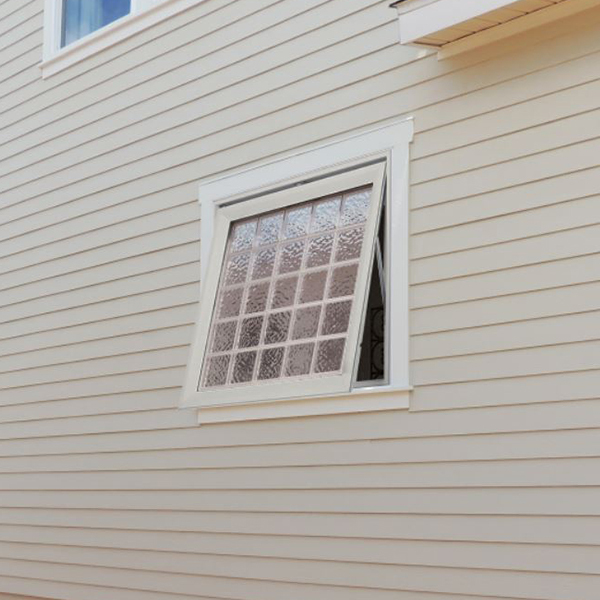 With a three-inch depth, the frame can be used for both new construction and replacement window. "This versatile window frame offers a more aesthetically-pleasing frame option with cleaner visual lines," says Roger Murphy, president of Hy-Lite, a U.S. Block Windows Company. "The frame comes in white, tan or driftwood with hardware color matches to the frame selection. The appeal of this frame comes from its adaptability and overall eye-catching appearance." The Breeze-Lite frame has a nail fin offset of one inch (with the ability to rip fins for replacement applications). Anti-corrosion hardware and screens are included with each frame. "By using these new frames on operable windows we're able to give our casements, twin casements and awning windows a sleeker, more refined look," says Murphy. "Because we can use these on both operable acrylic block and decorative glass windows, we're able to offer this upgraded look on a wide variety of our privacy windows."